Voila! 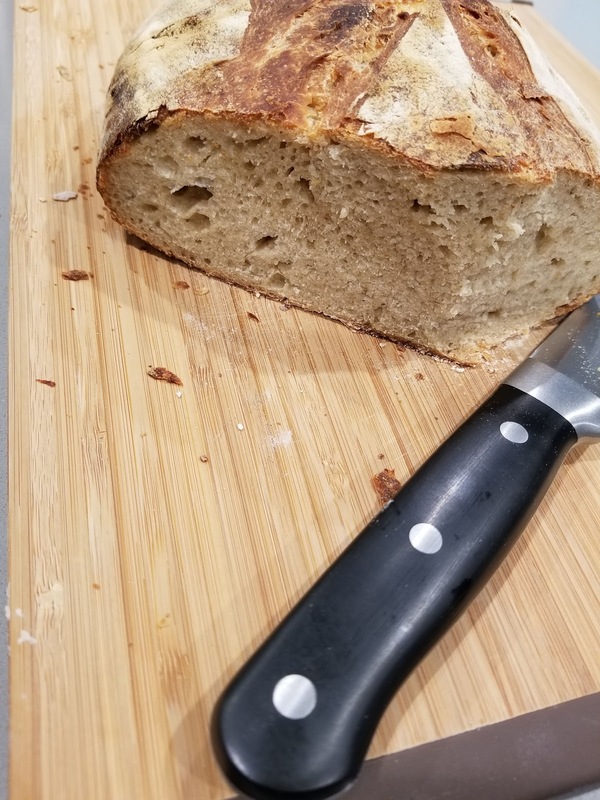 Our first loaf of bread, fully made from scratch. We've even made our own sourdough starter. There is still so much to learn about getting this just perfect... But having the first loaf come out of the oven, tasting good, was a big enough victory for today. The goal from here is to start on a baking journey, similar to the cooking resolution I had in 2015. 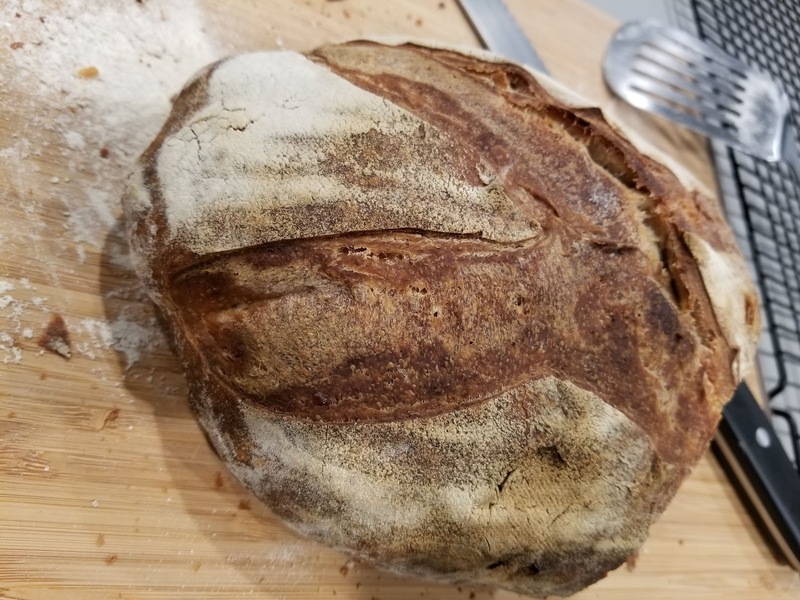 Try to bake something every weekend to keep the starter alive and well, and learn all about the intricacies of making a truly great dough for pizza, sourdough bread, english muffins, etc. 1. Bake time only took 35 minutes in our oven, not the full 45 minutes. 2. 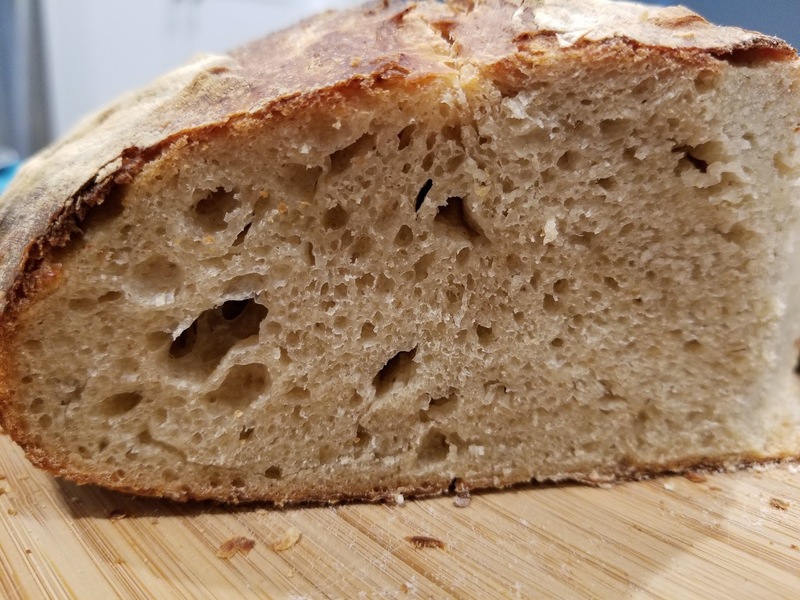 The crust is great, although the level of flour is too much on the surfaces. 3. The inside is soft, but very dense. Possible we over-worked the dough. 4. Starter may have been slightly too "young" to fully activate the yeast. 5. Color was not what we expected. Not sure if it's right or wrong though. 6. 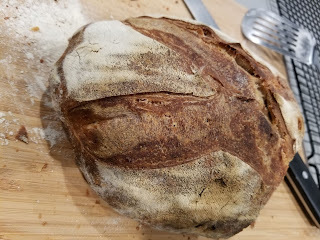 Next time, we want to try a round loaf instead of the oblong shape. 7. Would be interesting to try a seasoning or a different salt for more flavor.